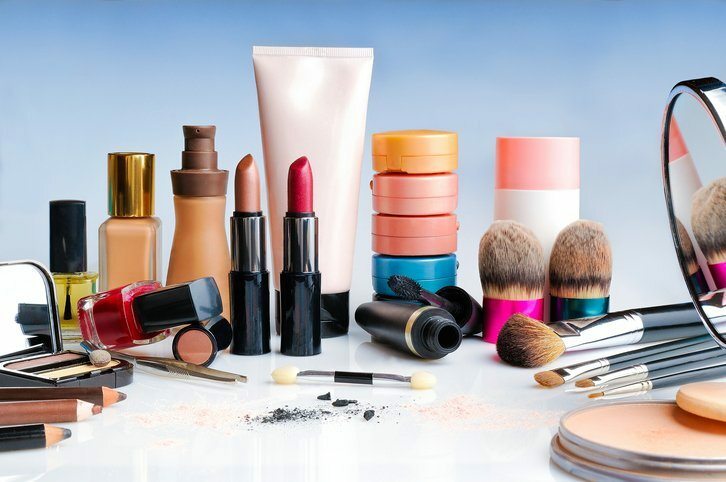 While many legacy retailers talk of digital innovation but are slow to adopt and adapt, the beauty industry is doing far more than just putting lipstick on the pig. The industry is transforming by embracing personalization, augmented reality, and virtual reality to acquire new customers and grow long-term relationships. At Shoptalk in Las Vegas, the CEOs of both Ulta and Glossier spoke on the main stage about modernizing the customer experience, which is, in many cases, helping beauty brands outperform their contemporaries. Research and Markets projects the global cosmetics market will grow to $429.8 billion by 2022, up 4.3% from 2016. And Euromonitor International reports that global spending on personal care and beauty is outpacing apparel and footwear brands. However, individual brands have the challenge of selling their own products while at the same time competing with other retailers selling their products. Marketplace retailers — including Ulta and Sephora, the largest beauty retailer in the U.S. and the world, respectively — have the advantage of scale. Thanks to their ability to deliver an exceptional, personalized customer experience, they have also cultivated significant brand loyalty. Leveraging that loyalty helped Sephora, in particular, top Sailthru’s Retail Personalization Index two years in a row. These brands know what makes their customers unique and that loyalty programs have strong potential for creating a network effect: The better it is, the stickier your customers will be and the more they will advocate for your brand. It’s no coincidence that a whopping 90% of Ulta’s sales come from loyalty members. Meanwhile, 80% of Sephora customers don’t buy from any competitors, according to two years worth of data from 1010data. Once you have a customer’s email address, engage them quickly and relevantly. Welcome emails have an extraordinarily high open rate: 86% higher than other marketing emails. Make the most of yours and show your new customers that you appreciate them, with personalized content and product recommendations. What if this person is so new to your brand that you’re not really sure what to recommend? Ask them. People want relevant recommendations. If you send a short questionnaire asking new customers about things like their coloring, skin type and beauty routine, they’ll surely let you know. It’s important to remember that onboarding extends to other channels, such as mobile. For example, we also personalize website overlays based on user lifecycle. Those overlays for newly-subscribed customers also mirror email communications, creating a seamless onboarding experience. Who’s Nailing It? : domino. A popular design magazine that ceased publication in 2009, domino relaunched four years later. It’s now thriving as a content+commerce business, thanks in part to a stellar email strategy. The strategy begins with an onboarding series that engages new and lapsed subscribers alike. 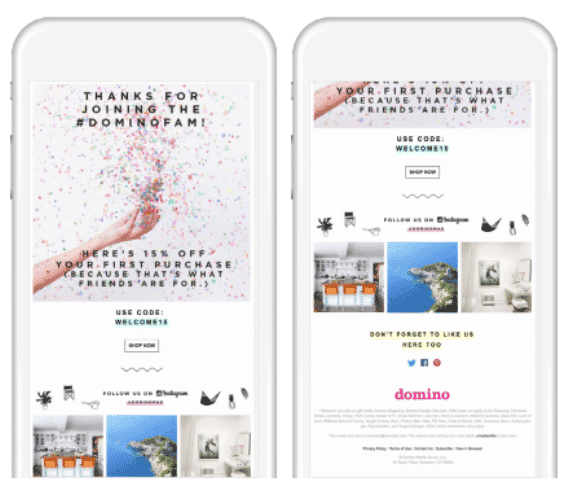 domino’s onboarding takes acquisition source — purchaser, non-purchaser, site visitor, sweepstakes entrant — into consideration in order to deliver the most relevant, informative and personalized communications. To improve acquisition, most companies focus on RFM modeling, determining the best customers based on the recency, frequency and total purchases. Rather than looking back and segmenting based on the past, brands should look to the future. Who is predicted to purchase? Create a segment and put that list into Facebook. The platform will then work to match email addresses with profiles that already exist, developing a lookalike audience based on those people. To improve revenue efficiency among existing customers, determine if someone is predicted to purchase in the next 24 hours or week. Target ads to them. 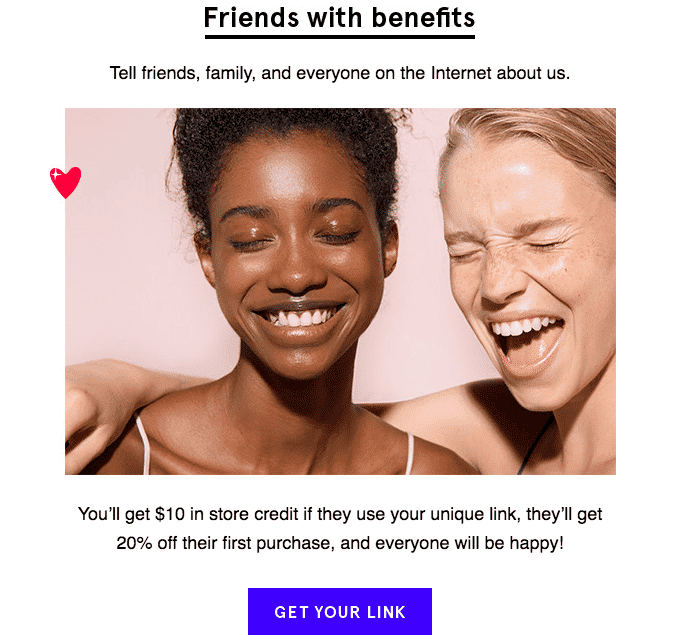 Leverage email, direct mail, and/or mobile messaging with personalized product recommendations to drive conversion or discounts based on how much they’re likely to spend. If someone isn’t predicted to buy, send them different emails or push notifications, with exclusive content designed to nurture. You can even use this audience to test different approaches for driving conversion, allowing you to improve your messaging strategy. Who’s Nailing It? 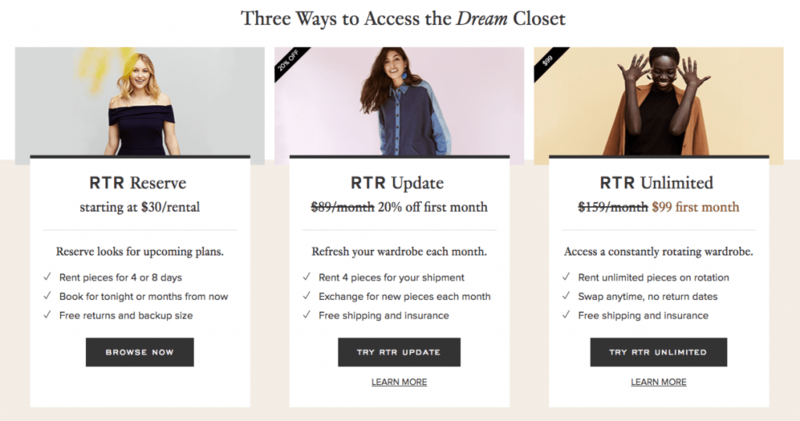 : Rent the Runway has successfully deployed this strategy. The brand built lookalike models for 30-day purchase predictions on Facebook, testing against a control group of customers who have purchased in the previous six months. Overlap was only 15%, which meant that Rent the Runway increased their overall reach significantly — while reducing subscriber acquisition cost by 20% on desktop and increasing expected one-year lifetime value by 53% on mobile. 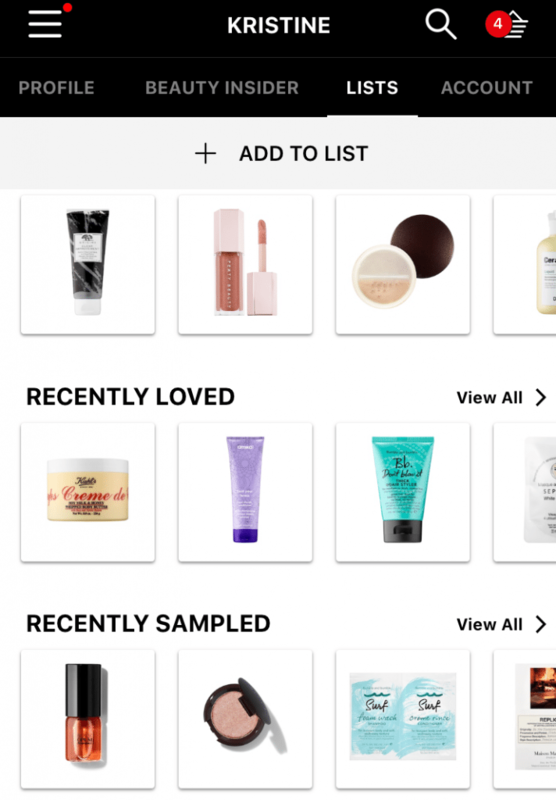 Collaborative filtering — more commonly known as the “Those who bought this also bought that” recommendations — is great for converting first-time customers because you don’t have to know the person to pull it off. For example, if someone is browsing products best for oily skin, recommend other products for that skin type, regardless of the category. Is she looking at a concealer? Recommend a complementary foundation. But at the same time, it’s not the most sophisticated strategy for engaging repeat customers. Instead, test recommendations based on what someone is traditionally interested in and make recommendations based on things like her or his preferred color palette in specific seasons. This method helps individual brands, which may not have the resources to fully invest in tools like Sephora’s augmented reality fitting room, drive discovery and increase the number of items in a sale. It’s important to note that recommendations don’t start and end with products. If someone buys a red lipstick, make sure she gets relevant content in tomorrow’s email, like the top five eyeshadows to pair with a red lip. Done correctly, blending content and commerce like that can add value, while also increasing the odds of add-on purchases. Go even further by personalizing email right down to the send time. After all, what good is a highly personalized email that never gets opened? Know what time your customers typically open their emails and schedule yours accordingly. Who’s Nailing It? : Nordstrom. The sheer volume of products makes department stores’ websites inherently overwhelming. Nordstrom takes that into consideration, showing consumers products that are similar to whatever they’re browsing (and at similar price points). 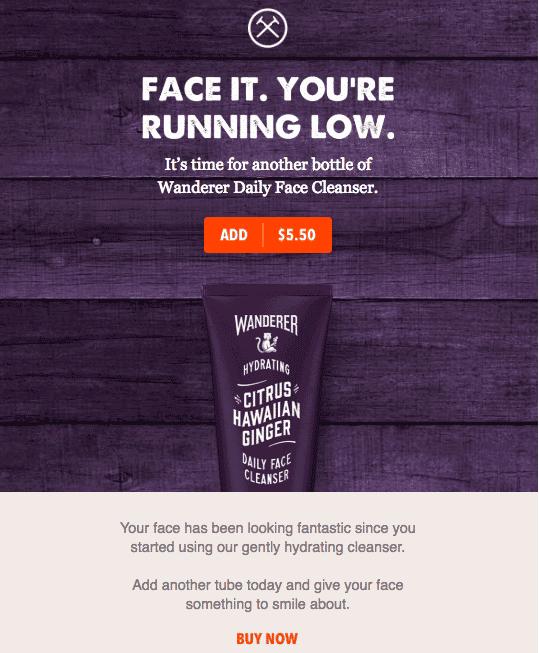 Cart abandonment emails are crucial for any ecommerce retailer, in and out of the beauty space. Why? The overwhelming majority of online shopping carts are just sitting there, abandoned. It’s not that people aren’t making purchases; they’re just making them somewhere else. The right cart abandonment strategy — exit-intent pop-ups, email recovery pages and guest checkout options, for example — can help recapture revenue. According to remarketing company SaleCycle, 48% of cart abandonment emails are opened and 33.3% of those lead to a purchase. But at the same time, cart abandonment isn’t the only trigger message to master. Keep the cadence in mind. If someone buys hand lotion, face lotion, foundation and mascara from you, remember that each of those items will be depleted at its own rate. Know the average lifespan of a product and set your replenishment triggers accordingly. Even better, pay attention to spend data to determine how quickly your customers go through each product. Take the personalized approach to re-engagement, new arrivals, stock replenishment, and other key moments in both your brand and customer lifecycle. Who’s Nailing It? : Dollar Shave Club. Members get a new box every month; however, Dollar Shave Club staggers their replenishment reminders based on when they’re likely to need more of a specific product. According to the Nielsen Consumer Trust Index, 92% of people trust user-generated content over traditional advertising. Once you wow your customers with stellar personalized experiences, figure out which shoppers are most loyal to you. Take it one step further, and make your loyalists your most valuable advocates and assets. The beauty industry is a particularly natural fit for the perfect storm of UGC and social media. Dubai-based beauty blogger Huda Katan has more than 24 million Instagram followers, while Michelle Phan’s huge YouTube following got her a cosmetics line with L’Oréal. And remember: Makeup isn’t just for girls. Just look at James Charles, who became CoverGirl’s first male brand ambassador in 2016, while he was still in high school. “The lady at the counter has been replaced by hundreds of people on YouTube,” Deborah Yen, SVP of Marketing and Branding at Sephora, told The New York Times last May. 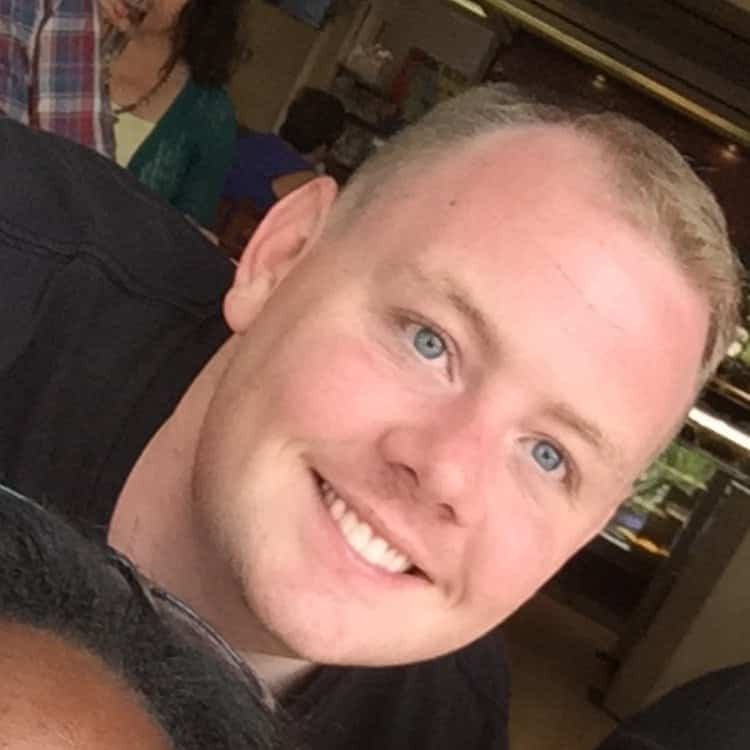 So, who are the people on your YouTube? Who’s Nailing It? : Turning customers into loyalists is the center of Glossier’s story. The brand began as a blog. In some ways, Glossier’s site still functions that way, with consumers engaging with one another on product recommendations and makeup routines. At Shoptalk, CEO Emily Weiss noted that 80% of her customers were referred by a friend. Whether they’re marketplaces or individual brands, the retailers that come out ahead are those with the best omnichannel experiences. Ulta understands that people view their shopping as one experience, rather than differentiating between mobile, desktop and in-store. The brand integrates all its communication channels for the most seamless shopping possible. Ulta also offers in-store salon services as part of the overall experience. Of course, not every brand can compete with every single feature these juggernauts offer across web and mobile apps. But beauty brands need to identify the experience elements necessary to get people to buy from their sites and stores. Who’s Nailing It? : Between the AR “fitting rooms” and Smell-o-Vision feature that allows consumers to sample scents, how could we not go with Sephora? The beauty giant has plenty of cool features, but they’re not just bells and whistles. Everything the brand does centers on giving you a seamless experience, wherever you may be shopping.